Bryan Esenberg's job is to tend the graveyard of Chicago's housing boom. Esenberg works for a local nonprofit that steps in to prevent abandoned buildings mired in the foreclosure process from falling apart while mortgage companies, lenders, owners and investors grapple over who is responsible. Once, he was called in because the entire facade of an abandoned house had fallen onto the sidewalk, he said. 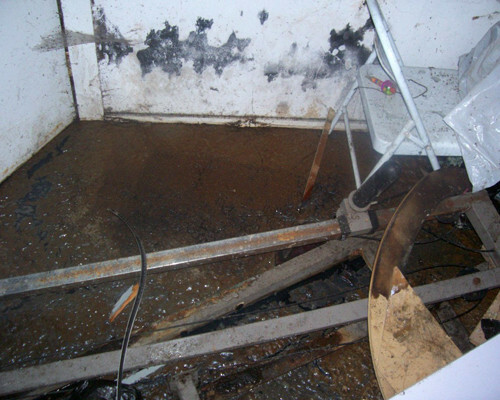 In another case, a young family was stuck in a house with a basement full of raw sewage after the landlord had walked away. In the first such case he handled, Esenberg said, a homeowner had just packed up and left after getting a foreclosure notice. "But then the bank never foreclosed," said Esenberg, who works with Neighborhood Housing Services of Chicago. "So three years down the line, there's just this house that's been completely abandoned." As of last year, there were roughly 15,000 vacant buildings in Chicago, 85 percent of which were caught in some stage of the foreclosure process, according to city figures. Cities around the country face similar battles with such foreclosure ghost towns, struggling to cope with a growing number of empty properties left in the wake of the foreclosure crisis. Mortgage lenders alone have anywhere from 1.3 million to 5.3 million properties on their books, the vast majority sitting vacant while lenders wait for the housing market to improve. Through government-sponsored mortgage lenders, the U.S. taxpayer owned 360,000 foreclosed homes by the end of 2010, up 47 percent from the year before, according to the industry magazine Housing Wire. That number is likely to increase, with another 600,000 mortgages guaranteed by the Federal Housing Authority estimated to go into foreclosure, according to the macroeconomic research consulting firm Capital Economics. 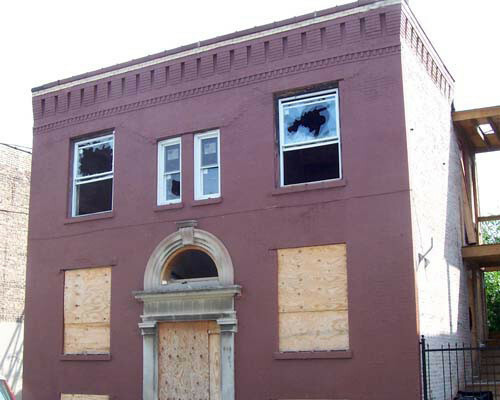 Without even minor maintenance, vacant properties begin to deteriorate. They also often attract crime, even arson, spreading a blight through entire neighborhoods. In response to the growing problem of vacant, neglected property, Ohio housing court judge Raymond Pianka has been fighting pitched battles against lenders and real estate companies over foreclosed homes. Pianka has pushed lenders like Wells Fargo and Deutsche Bank to fix up -- or pay to demolish -- the most derelict properties in their hands, and seeks to force lenders to answer for the decline in property prices faced by homeowners in neighborhoods with vacant properties. The city government of Las Vegas has started buying foreclosed houses to sell or lease to residents in an attempt to address the problems caused by an estimated 60,000 vacant apartments and houses. In Chula Vista, Calif., the government has forced lenders to register vacant properties since 2009, and hands out fines of over $10,000 for building code violations. 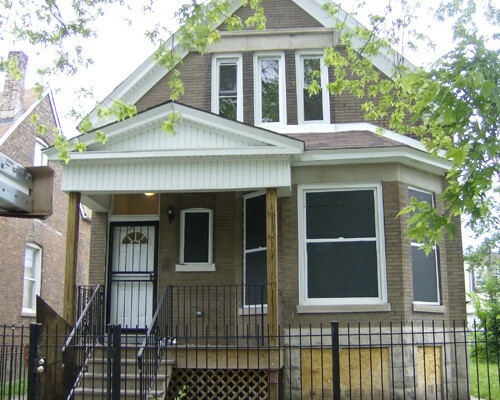 In Chicago, as the housing market began to fall in 2006 and 2007, the number of vacant and derelict properties swelled from an estimated 60 to just under 300, according to Anthony Simpkins, the deputy commissioner for Chicago's Department of Housing and Economic Development. Entire blocks have been abandoned. "Some of these neighborhoods look like war zones," Esenberg of Neighborhood Housing Services said. Four years into the foreclosure crisis, Esenberg said, some of the houses he sees have lost so much value that even lenders have walked away, deciding that foreclosure proceedings would likely cost more than the possible resale value of the house. Those properties are then left in ownership limbo. 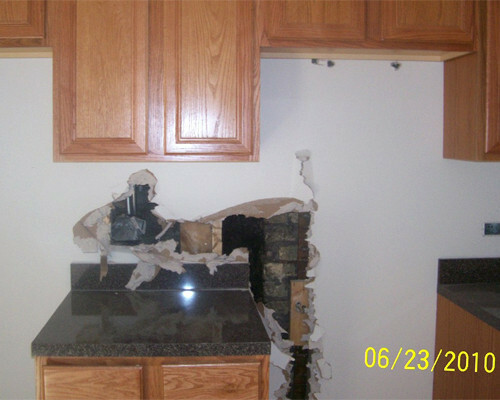 As most conventional mortgages won't cover the purchase of heavily damaged homes that need extensive renovation, the Neighborhood Housing Services program marks one of a few attempts nationally to save such houses. Sometimes, he said, they are forced to deal with abandonment cases stretching even further back than 2006. Due to complaints and building code violations, the city demands that everyone associated with the building -- from the mortgage holder to the lender to MERS, the system banks used to register securitized mortgages -- figure out who's responsible for the building and see that they fix it. When lenders can't, or won't, Illinois law allows local courts to appoint a receiver like Esenberg, usually representing a nonprofit, to protect or repair the house as necessary -- anything from boarding it up to cleaning out a basement full of sewage. Receivers in Chicago even paint the boards to create the illusion of a life in a building, however brief. This program, in place before the foreclosure crisis, was originally conceived as part of a bigger drive to cut gang and drug activity and and force landlords to take care of run-down buildings. Funded by a $2 million federal grant, however, it can only process a small fraction of Chicago's vacant properties. In the last five years it's been running, 784 units have been boarded up or rehabilitated. If he's lucky, Esenberg said, the houses he's charged with just have some mold or water damage, but many have more serious problems. In some cases, thieves have broken in and stripped whatever copper pipes and wiring they can find for sale to scrap metal dealers. "They steal $50 worth of copper, comes out to be $20,000 worth of damage," Esenberg said. Three feet inside the front door of a house in the South Side neighborhood of Englewood, he said, the floor had been ripped up, creating a dogfighting pit. Someone had turned the backyard of the same house, and three others, into a makeshift dog racing track. In one building that was locked up and looked empty, Esenberg found squatters. They had gotten in through an eight-inch gap between the building and the one next door, but that made it a challenge to get things out of the house. "They had garbage bags stacked to the ceiling in the kitchen, because they couldn't throw their garbage out," he said. "And there was no plumbing. That was a whole other problem. They had a bathtub full of feces." Many of the more seriously-damaged vacant houses, some rendered nearly worthless by neglect and plunging property prices, were already in less desirable neighborhoods. But the problem isn't limited to lower-income areas, Esenberg said. In February, the city put him in charge of shoring up a mansion in the landmark middle-class neighborhood of Jackson Park Highlands after bricks from the neglected building started falling into a neighboring yard. "It looks like he got it when the market was hot, then realized it needed more work than he could handle." Esenberg said of the owner identified on the lease. And the sewage-filled basement he referenced was found in the middle-class neighborhood of North Park. A young family of tenants had been living with the sewage for six months before Esenberg was called in, after the landlord "walked away from the investment like it was a bad stock," he said. "The worst thing about that house was the owner and the lender were coming to court," said Esenberg. "And they knew about it." It costs up to $2,000 to board up a house, and up to $7,000 to stop an abandoned property falling any further into dereliction, according to Esenberg. A building stripped of copper pipes can cost up to $20,000 to renovate, he said, but that's still cheaper than demolishing and rebuilding. To pay for the repairs, he places a lien on the building that has to be paid off before any other claims on the property. If the lender or owner doesn't pay up, he can foreclose on the building again. Many of the houses are losing value so quickly, however, that many lenders would rather hand over the deed than pay for the repairs. Those houses are fixed up to a livable standard and sold to vetted owner-occupiers or affordable home developers through Neighborhood Housing Services in an attempt to stop them falling back into the cycle of neglect. It's a small solution to a growing crisis. "This problem is not over by any stretch of the imagination," said Anthony Simpkins, the deputy housing commissioner. "We have several years where this will be a major strain on municipal resources."